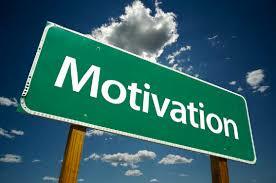 According to Gardner and Lambert (1985), there are two types of motivation: integrative and instrumental. The integrative motivation means learning the language with the intention of participating in the culture of its people. And instrumental motivation suggests and implies that a learner learns the language in support of a purpose relating to occupation or further useful motive. These two types of motivation can affect and control the procedure and outcome of learning. further believes that the integrative and instrumental motivation suggested by Gardner and Lambert is useful and effective factor for second language learning. Intrinsic motivation is deﬁned as the doing of an activity for its inherent satisfactions rather than for some separable consequence. When intrinsically motivated a person is moved to act for the fun or challenge entailed rather than because of external prods, pressures, or rewards. The phenomenon of intrinsic motivation was ﬁrst acknowledged within experimental studies of animal behavior, where it was discovered that many organisms engage in exploratory, playful, and curiosity-driven behaviors even in the absence of reinforcement or reward. Although intrinsic motivation is clearly an important type of motivation, most of the activities people do are not, strictly speaking, intrinsically motivated. This is especially the case after early childhood, as the freedom to be intrinsically motivated becomes increasingly curtailed by social demands and roles that require individuals to assume responsibility for non intrinsically interesting tasks. In schools, for example, it appears that intrinsic motivation becomes weaker with each advancing grade. Extrinsic motivation is a construct that pertains whenever an activity is done in order to attain some separable outcome. Extrinsic motivation thus contrasts with intrinsic motivation, which refers to doing an activity simply for the enjoyment of the activity itself, rather than its instrumental value. Belum ada tanggapan untuk "Kinds of Motivation"